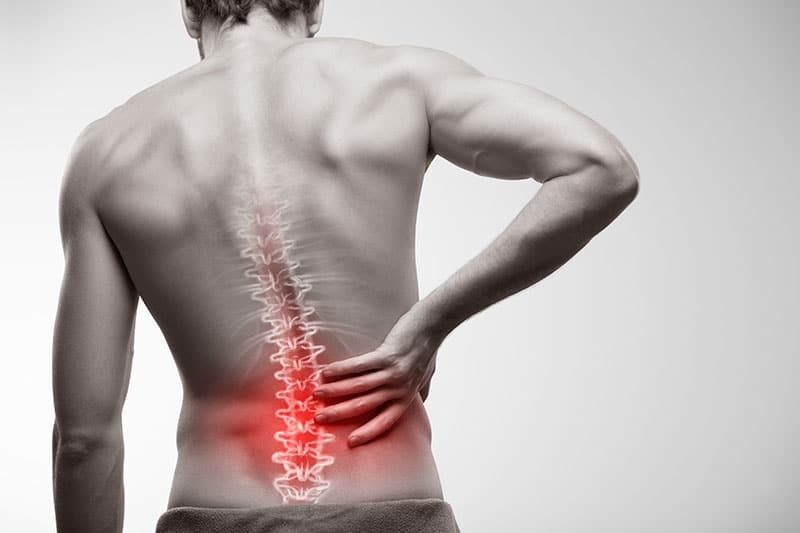 One of the most prevalent pain syndromes seen in Clinic is acute or chronic back pain. Many back pain sufferers have already attempted conventional medical therapies to alleviate their pain. More common types of back pain typically present from acute muscle strains, such as when you may bend down abruptly to pick up a heavy object while at the same time rotating your body at the hip joint. Muscle strains– overstretching or tearing ligaments, tendons or muscles in the back, usually occurs with poor body mechanics and lifting an object too heavy. Sciatica– compression of the sciatic nerve which runs through the gluteus muscle and downwards on the back or side of the leg causing a burning sensation type of pain. It may begin from the low back and run distal to the knee and further on to the foot. Numbness and tingling causing muscle weakness is a highlight of this condition. Conventional medical therapies can include, but are not limited to OTC pain relief meds such as Advil, Tylenol and other non-steroidal anti-inflammatory (NSAIDS) approaches i.e. Ibuprofen. For more serious conditions involving structural disorders of the spine such as: Spinal stenosis, disk herniation in the cervical, thoracic, or lumbar spine which may then, over time, result in nerve root impingement or sciatica. Degenerative joint disease, a chronic inflammatory condition such as Osteoarthritis can also result in back pain. The conventional medical therapy approach for these may involve the use of spinal epidural injections and/or ultimately back surgery in some cases. The severity of these conditions will vary based on your age and lifestyle, or more specifically with the involvement of repetitive stress. In evaluating back pain syndromes, Traditional Chinese Medicine (TCM) considers whether there is an underlying or root cause that may not be apparent according to Western medicine. Contributing factors such as exposure to certain environmental elements, sub-optimal diet, emotional stress, poor posture, and/or constitutional problems are taken into account and assessed in the TCM treatment of back pain, particularly those that are chronic in nature. Acupuncture as part of Traditional Chinese Medicine (TCM) is increasingly being used to treat various types of musculoskeletal pain. 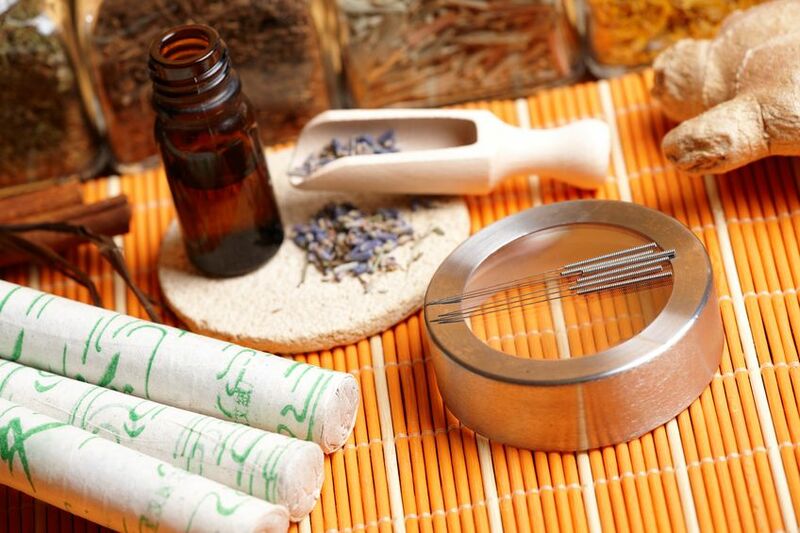 Whether an acute or chronic pain issue, TCM views it as being caused by a blockage of well oxygenated blood flow to the area (traditionally called “qi and blood stagnation”) which leaves the body tissues undernourished and essentially depleted of nutrients necessary to function and perform. Additionally, cellular and metabolic waste products are not effectively carried out and eliminated, resulting in a build up of lactic acid in the muscles. This can be caused by any of the Western diagnoses mentioned previously above. Back pain syndromes are treated with a number of TCM modalities including acupuncture along with Chinese herbal formulas, Tuina (a form of Chinese medical massage), cupping, guasha and electrical stimulation. Acupuncture points on the hands and feet (distal points) as well as local points are used in the treatment of back pain.The strong analgesic (pain relieving) mechanism of acupuncture has been widely studied (1) and acupuncture is now being accepted as a comparable therapy to other conventional pain relief methods. Many well done randomized clinical trials (RCT) have generally concluded that acupuncture is effective in relieving back pain when compared with no treatment and comparable to conventional treatments for back pain (2). This is often in reference to chronic back pain cases in which acupuncture can relieve pain, eliminate stiffness, stimulate joint and muscle mobility, and prevent long term recurrence of the problem. Acupuncture is also very beneficial for acute back pain, usually caused by muscle strain and/or spasms. Acupuncture helps to sedate and relax the affected muscles, release spasms, and reduce local inflammation to alleviate and ultimately stop acute back pain. This is achieved through activating specific acupuncture points involved in “resetting and releasing” muscle tissue. "For those of you looking for an acupuncturist, I highly recommend Nenita. I have been seeing Nenita for the past 5 months for neck and back pain, stress management, and overall health and wellness. Nenita is professional, kind, knowledgeable, and is genuinely interested in providing the best care possible to her patients. Her office is also very clean, nicely decorated and very relaxing. Since starting acupuncture with Nenita, I have been sleeping better, feel less stressed, feel less pain in my neck and back, and I have way more energy! Acupuncture has truly made a positive impact on my health and I am so thankful that I found Nenita. She truly has made my experience with acupuncture so pleasant and healing. I feel great and my body feels more in balance than it has in a very long time! Thank you Nenita!"